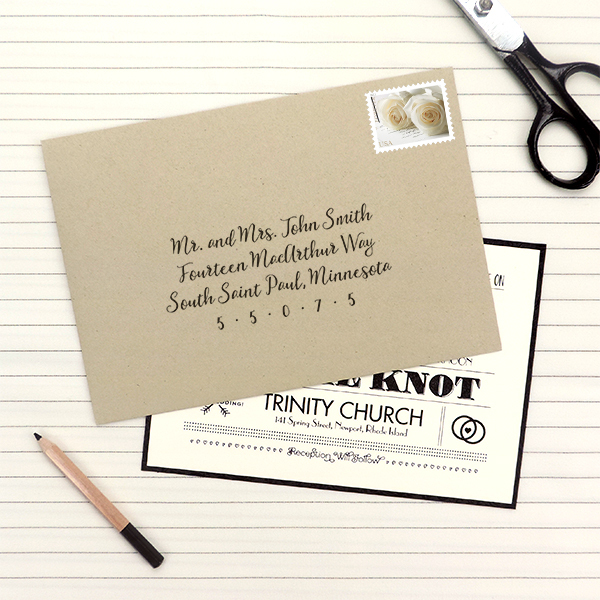 Envelope addressing tips – Genesis Print & Copy Services Inc.
Now that you have your invitations and enclosures assembled, it’s time to address the envelopes! Here are a few helpful tips to keep in mind. Inner envelopes will have the title and the last names of the specific people invited. • It is acceptable to write familiar names for close family members. • If you would like for the children of your guests to be invited, put their names below their parents on the inner envelope, or the outer envelope if there is no inner. • If the child is 19 years old or older and still lives at home, they should get their own invitation. • Outer envelopes should be addressed conventionally using titles and full names. • All titles should be written out, as well as addresses, nothing should be abbreviated. • If the invitation is for a married couple, always address both members of a married couple. • If your guests are an unmarried couple, address the invitation to both individuals separately. This rule only applies if the guests live together.